Ramadan is coming and every Muslim are excited to welcome it. 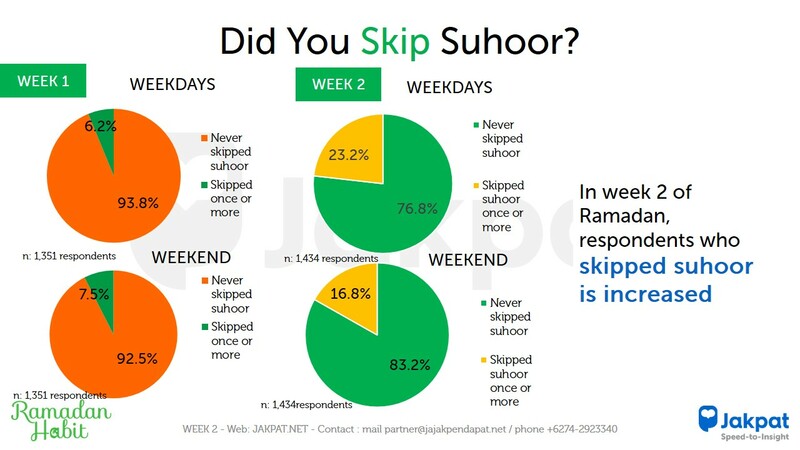 The holy month of Ramadan always presents uniqueness that other months do not have. 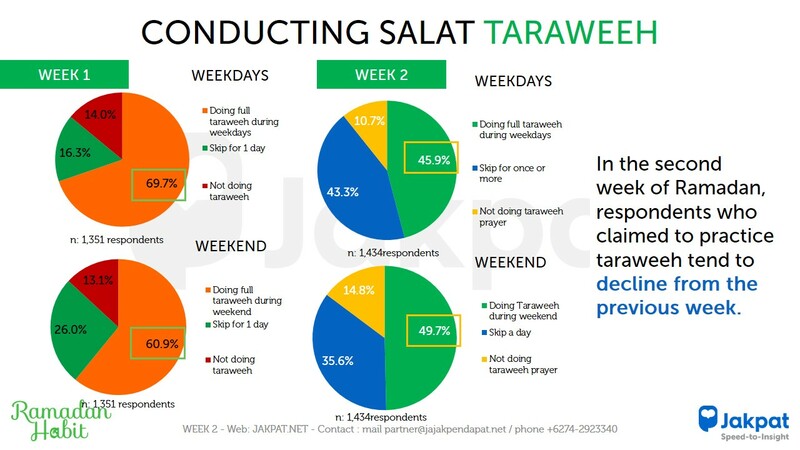 We conduct survey tracking about Ramadan Habit that will be distributed and reported every week. 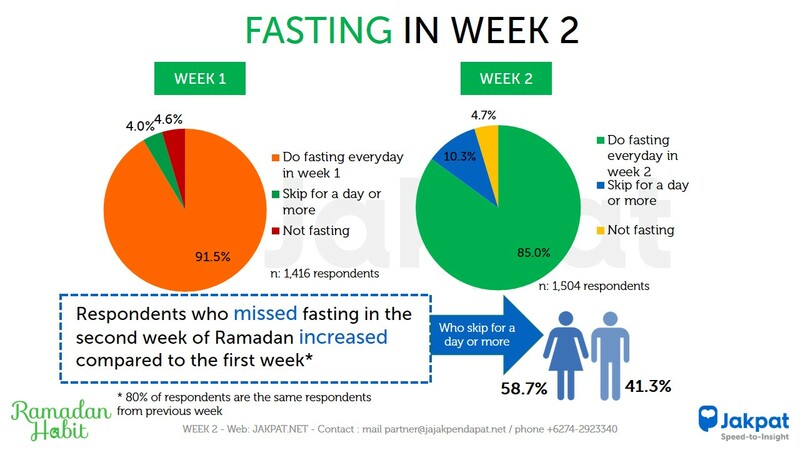 Mapping the behavioral pattern of our respondents in the first week of Ramadan (May 21st – 27th, 2018) regarding their religious activities and consumption pattern on weekly basis. 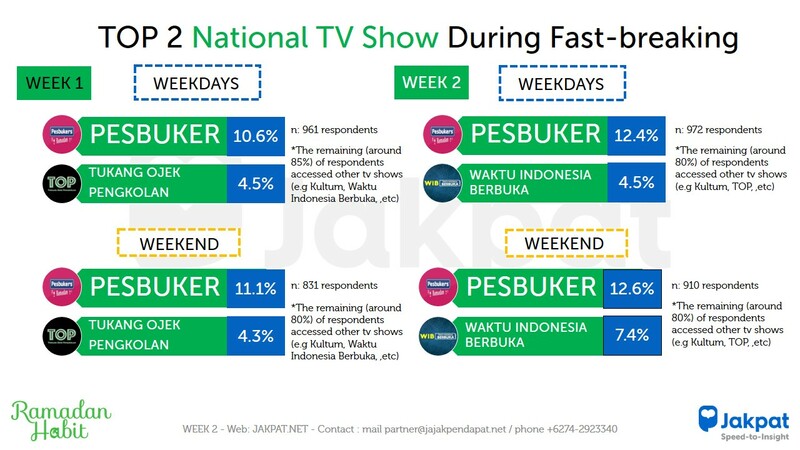 Divide the result based on the weekdays or weekend, due to any chance of different activities our respondent may conduct during the times. 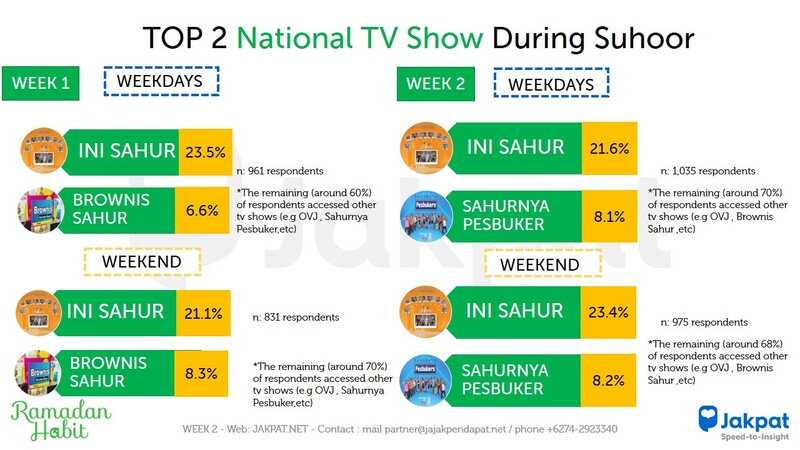 This entry was posted in Uncategorized on June 7, 2018 by JakPat.